A Great Little JEM of an Idea! The ‘Feed in Tariff’ deadline is fast approaching, and JEM Energy don’t want you to miss a fantastic opportunity to create essentially FREE hot water, by integrating solar panels, with a solar thermodynamic hot water system. By taking advantage of the Feed in Tariff scheme before it closes to new applicants on the 31st March 2019, you could be paid for generating free hot water for yourself! The Feed in Tariff scheme, which is a scheme that has been put in place by the government, to reward home owners for investing in certain types of solar energy systems, by paying them for generating solar energy - will be closed to new applicants from the 31st of March 2019. Renewable energy systems included in the scheme are - solar photovoltaic (solar PV), wind, micro combined heat and power (CHP), hydro and anaerobic digestion (AD). 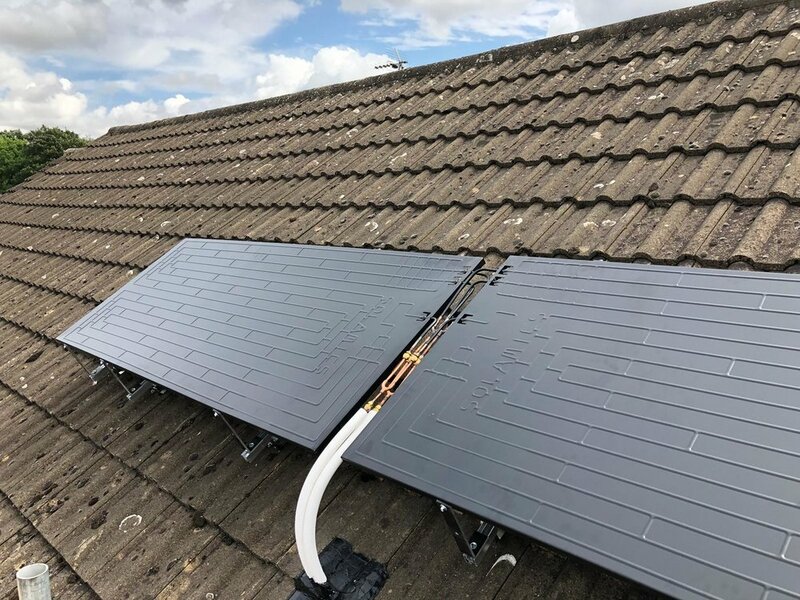 JEM Energy are a UK solar energy supplier and installer, primarily based in the south of England, who supply and install solar pv systems, and more recently – thermodynamic water heating systems. Solar pv panel systems can be installed on a roof, a shed, or ground mounted, making them quite handy and versatile little things. They work by generating power in the form of electricity, as they absorb energy from the sun, which is converted into electricity. This electricity can then be used to power the home, all without the polluting and harmful burning of fossil fuels! The Feed in Tariff scheme is inclusive of solar pv panels such as these – what you chose to do with the electricity they generate… is up to you! Thermodynamic hot water systems have only been around for a few years, but have fast become a recognised form of renewable energy. Comprising of two main parts – two externally mounted thermodynamic panels, and an internal thermodynamic heat pump unit, the main benefit of thermodynamic water heating systems, is that they do not require sunlight to generate hot water, and instead take their energy from other sources including wind, rain, snow and extremely low or extremely high temperatures – they have even been referred to as ‘night time solar’, as they can work at night! Thermodynamic hot water systems do require a very small amount of electricity to power their integral heat pump, which is responsible for converting the energy taken from their external thermodynamic panels, into hot water. Solar pv panels are capable of generating over 500w of electricity on a day with ample sunlight (although how much they generate totally depends on how many panels you have, and where they are situated). Therefore, they are more than powerful enough to provide the electricity required to power a thermodynamic heat pump. By installing just 2 solar pv panels on your home, alongside a thermodynamic water heating system, and doing so before the Feed in Tariff scheme closes to new applicants on the 31st March, you could be paid for the electricity generated by your solar pv panels, and use this electricity to power the heat pump within your thermodynamic hot water system. Meaning that you would literally be paid for supplying yourself with free hot water! What would happen to any unused electricity? If there was any electricity left over after powering your thermodynamic hot water system, it would simply contribute to the running of other household appliances such as a fridge/freezer, lamps, chargers etc. If you already have solar pv panels installed on your home, then it isn’t too late to apply to the Feed in Tariff scheme, it also isn’t too late to add a thermodynamic hot water system to your property, and start being paid to generate free hot water! JEM Energy believe that you should be rewarded for the solar energy you produce, and for investing in it in the first place. For more information on how we could help you do this, contact us here.